Take advantage of the winter season by making the winter landscape your outdoor playground in the Northwoods of Wisconsin! 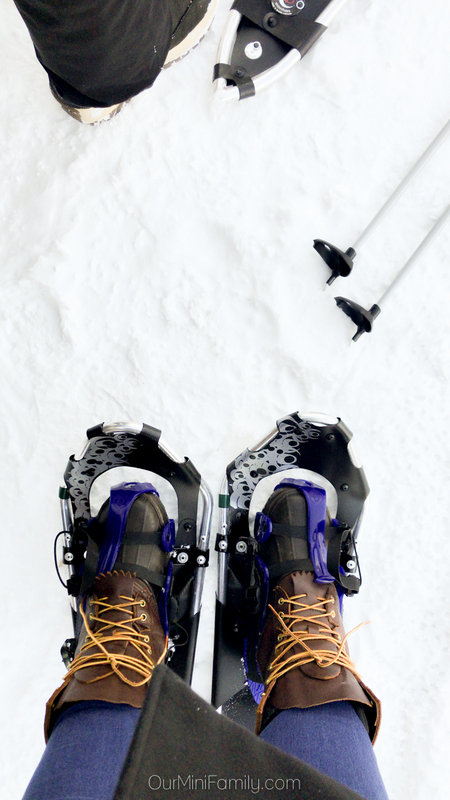 Keep reading to see our Northwoods Wisconsin winter travel guide. 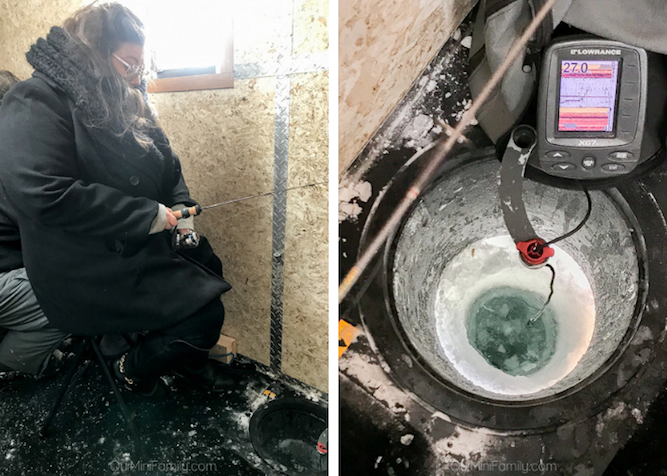 While hibernation does sound appealing, this year, I decided to take advantage of the snow and all of the fun that comes with the winter season. 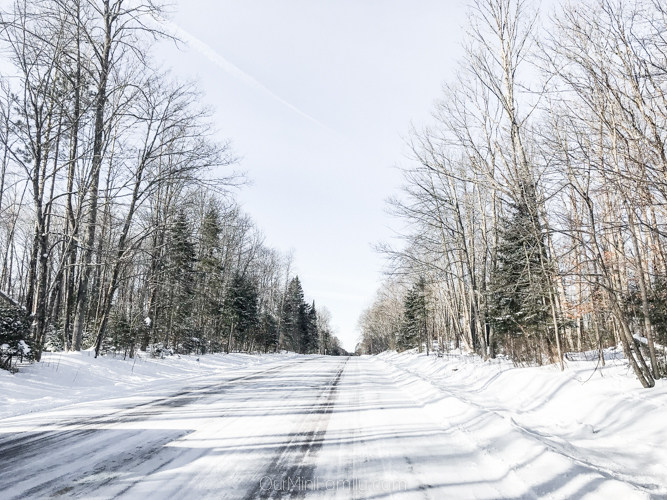 With nearly a dozen recreational activities to enjoy this winter, it is no surprise that the beauty of the Northwoods of Wisconsin is the perfect place to spend your winter getaway! Bordering Michigan's Upper Peninsula, the Northwoods of Wisconsin encompasses over 3,200 lakes, rivers, and streams. It is undeniable that this part of the country is an ideal place to visit for all outdoor enthusiasts, and that it is particularly enjoyable for those who prefer winter recreation. 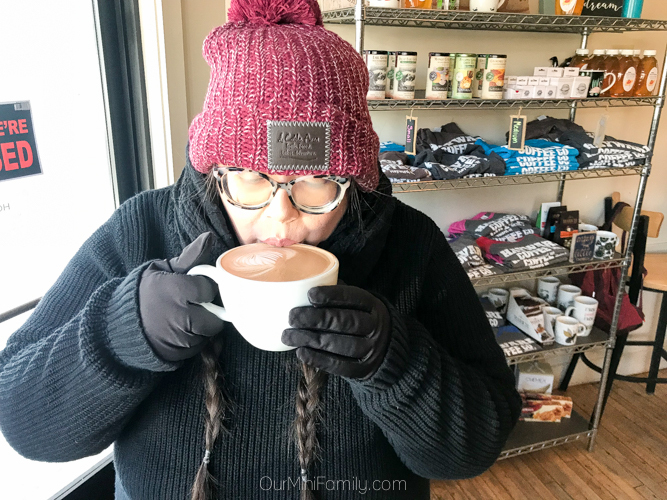 Aware of its popularity during the winter months, many of the businesses, hotels, restaurants, and parks remain open to visitors and locals alike throughout even the coldest days of the year in the Northwoods. In fact, when I visited the Northwoods earlier this month, it was during the Polar Vortex of 2019 (and the coldest temperature we experienced outdoors was -37° Fahrenheit). Whether you enjoy the most active winter sports, or simply enjoying exploring the woods and the beauty of the snowy landscape, the Northwoods of Wisconsin offers a winter playground everyone can enjoy! 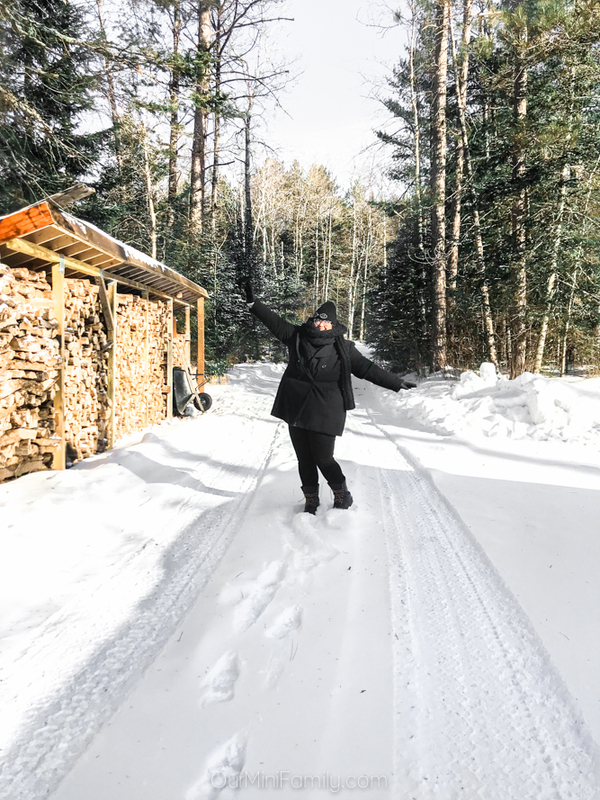 Below, you will find our winter travel guide to the Northwoods, including where to eat and drink, what to do, where to shop, and where to stay (along with links to their businesses on Yelp, so you can bookmark all of these places for your next Wisconsin winter getaway). 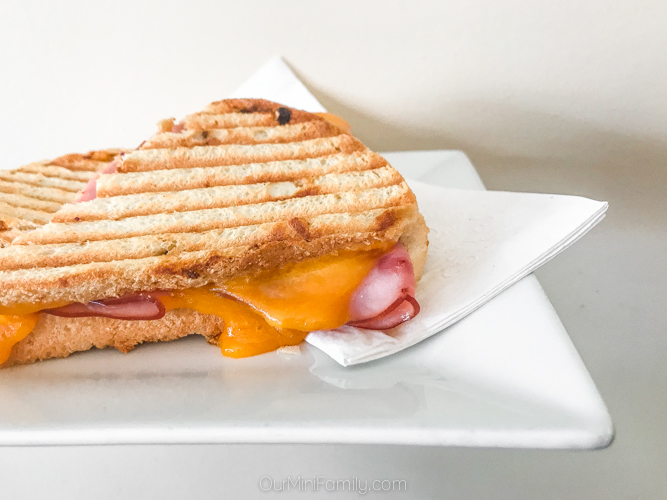 When you are ready for breakfast and a heavenly cup of coffee, stop by the Hayward Coffee Co for some java and one of their tasty breakfast sandwiches (or even one of their Nordic waffles). If you're headed to Cable, one coffee shop you don't want to miss is Velō Cafe. They have plenty of delicious coffee as well as some light breakfast options. Additionally, you will find a few tables ideal for sitting down to work on a laptop in Velō Cafe (or you can grab one of the chairs in front of their fireplace to warm up with your coffee before heading back out into the winter air). While you are visiting Cable, you will also want to stop by Brick House Cafe. Brick House Cafe has a wonderful selection of coffees, as well as a great menu that has breakfast and lunch items (and it is the ideal brunch spot in Cable). 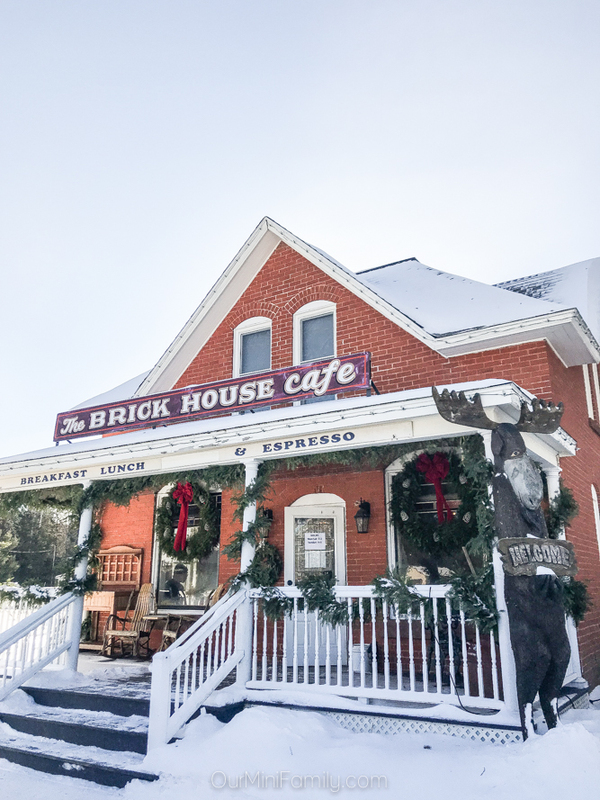 I definitely recommend making a trip to Brick House Cafe at some point during your stay in the Northwoods, so that you can try the sandwich that earned them a feature in an episode of Food Network's Diners, Drive-Ins and Dives with Guy Fieri. Barbecue from Old Southern BBQ Smokehouse in Hayward is an absolute must if you are in the mood for some comfort food! Founded by Dave Anderson, the brains and heart behind the Famous Dave's nationwide restaurant chain, Old Southern BBQ Smokehouse has a wide variety of menu items to choose from--sandwiches, pitmaster platters, wings, salads, tacos, meat by the pound, classic barbecue side dishes, and their BBQ bowls. 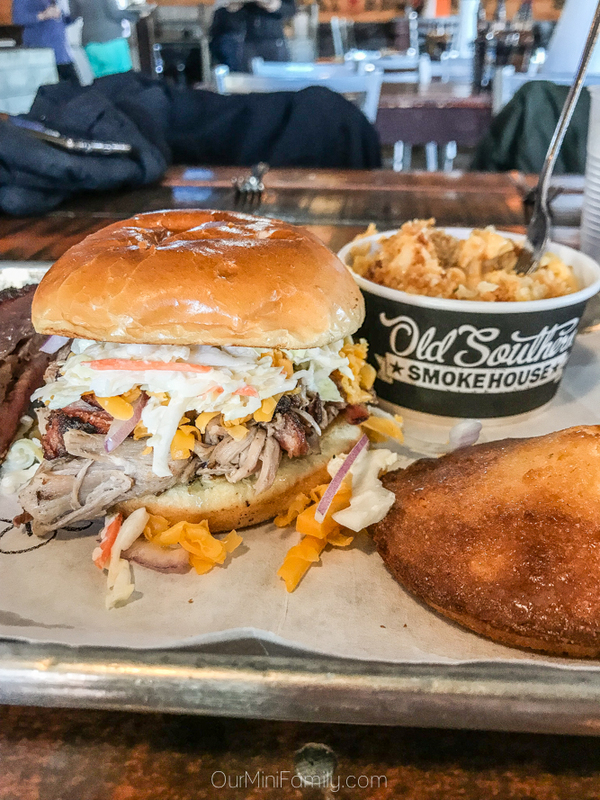 The extensive menu at Old Southern BBQ Smokehouse has something for every barbecue lover. Do you want to enjoy a classic fish fry meal while you are in the Northwoods? Head out to The Landing on the Chippewa Flowage. 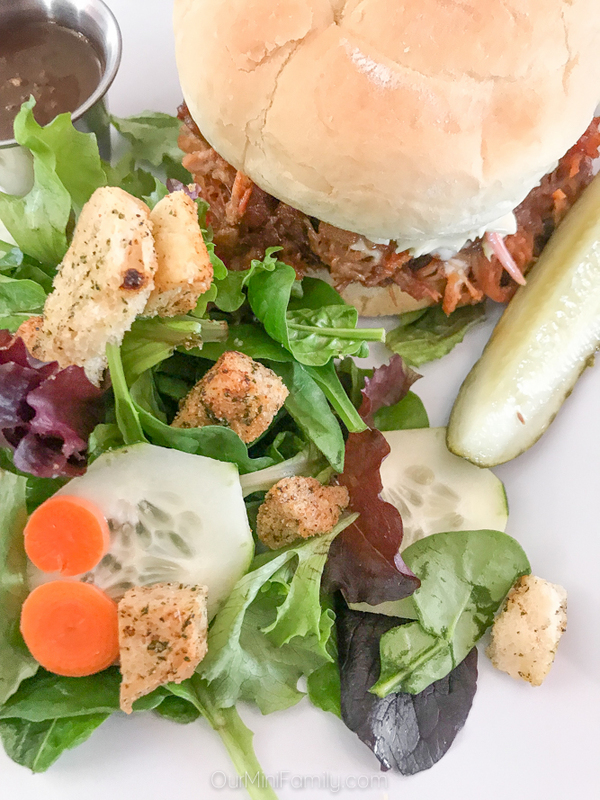 At The Landing, you will find a no-frills, laid back dining experience right on the water outside of where many locals and visitors alike can go fishing. For a more formal dinner setting, head to Cable to dine at The Rookery and The Birches Restaurant and Bar. Visiting The Rookery, you will find a seasonal menu prepared with local, sustainable ingredients. If you would prefer to see a menu ahead of time, be sure to check out The Birches' online menu and their wide variety of starters, pizzas, steaks, and main dishes. Additionally, The Birches Restaurant and Bar is also open for lunch and they have a condensed lunch menu comprised of salads, a few light bites, and a handful of flatbread pizzas. 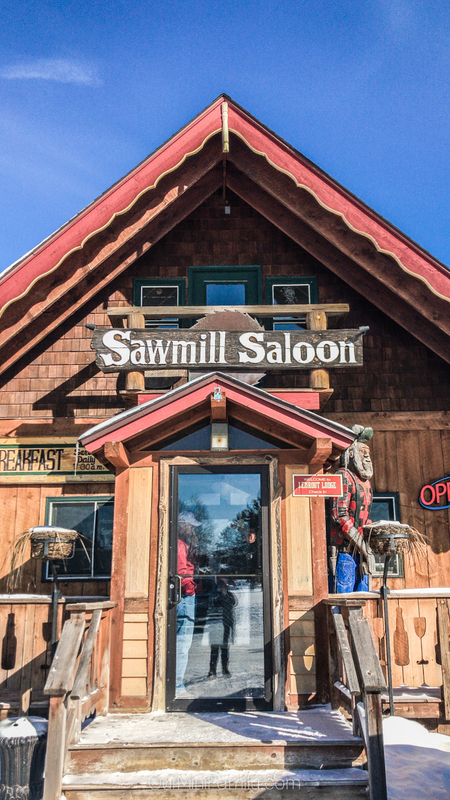 An ideal place to sit down, drink a pint, and enjoy a rustic Northwoods setting, the Sawmill Saloon is a popular destination for locals and visitors alike. 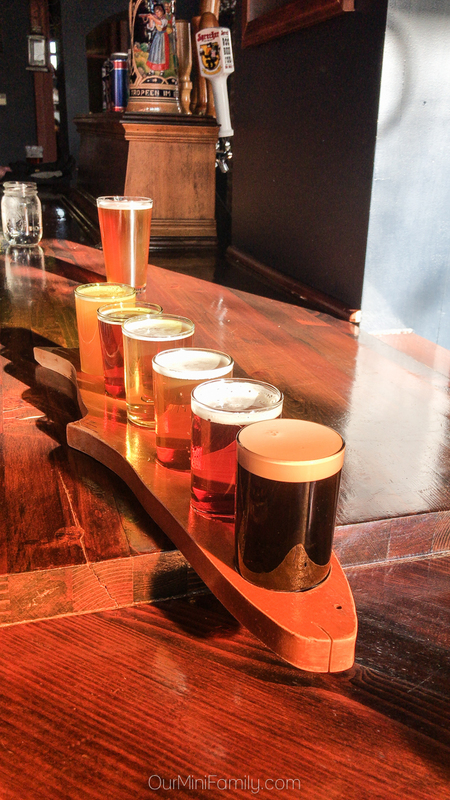 Located in Seeley, which is in-between Cable and Hayward, the Sawmill Saloon is a great choice for those who want to gather to enjoy a drink or two with friends, listen to music, and grab a bite to eat. While it is a perfect spot to grab a drink, they also have some delicious dishes with a large bar menu featuring local favorites. 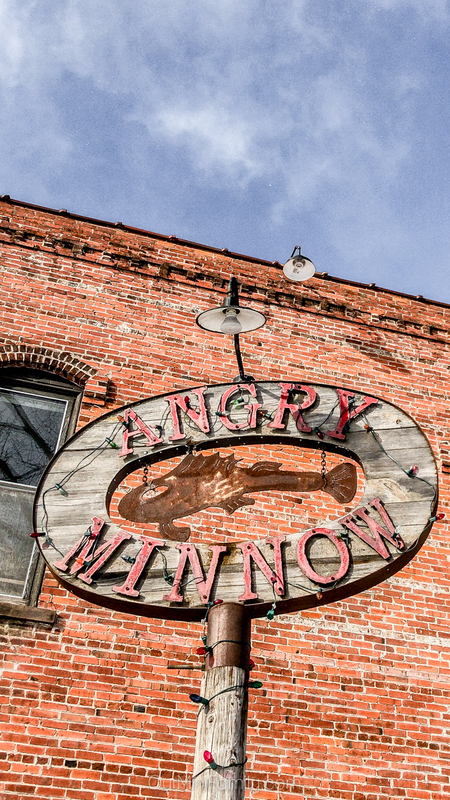 Head over to the Angry Minnow Brewing Company to sample a flight of beer, taste their microbrews, and grab a small bite to eat at the bar. While sampling a number of their crafted beers during my visit, my absolute favorite beer I tried was the River Pig American Pale Ale. For a dive bar experience, head over to Mocassin Bar to enjoy a drink, play some pool, and view the wide array of taxidermy on display including fish, birds, big cats, foxes, and rodents. 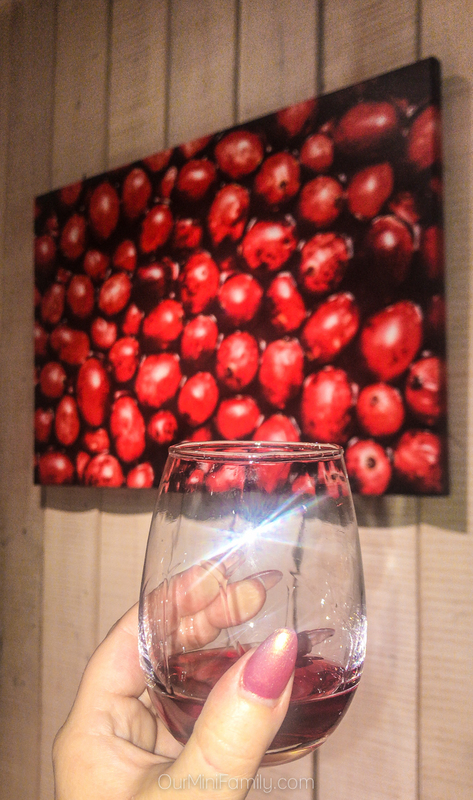 If wine is more your speed, stop by the newly opened Tamarack Farms Winery. Sample a variety of their fruit wines including strawberry, blueberry, and cranberry wine (which is my personal favorite). 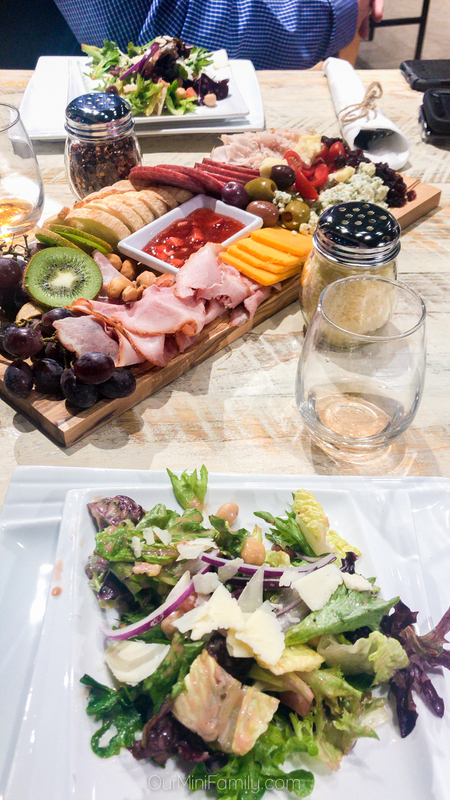 Their brick oven pizza is delightful, as well as their appetizer boards and light snacks. If you are looking for outdoor winter recreation, the Northwoods is your ultimate winter playground in Wisconsin! Whether you enjoy winter classics such as cross-country skiing or snowshoeing, or if you would like to try something new such as ice fishing or fat biking, the Northwoods of Wisconsin has a wide variety of low-impact winter sports available to try, and there are numerous small businesses, lodges, and restaurants that will rent you equipment to use so you do not need to worry about packing your own gear. 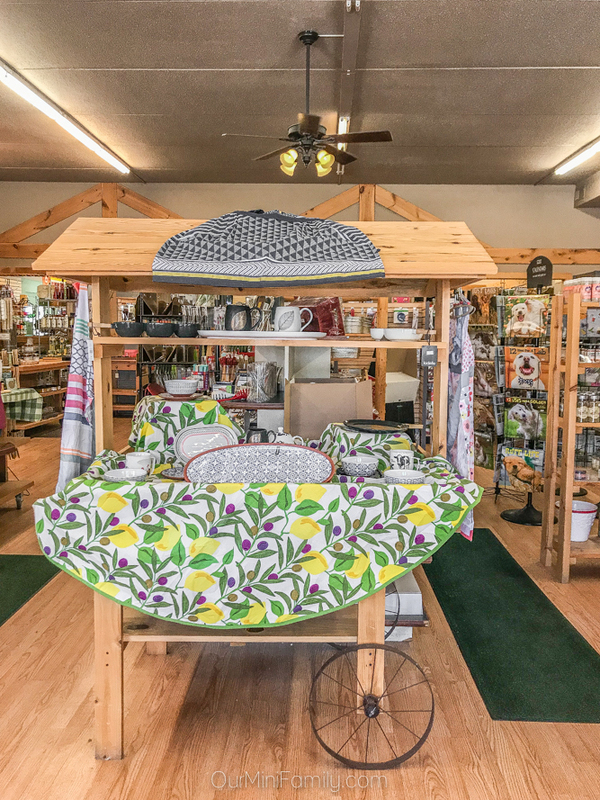 For those kinds of days when the weather is just too much to handle or you want to enjoy a day indoors, there are also a number of things you can do in the Northwoods throughout the day. If you enjoy embracing your creativity, you can craft something with your hands at Glassy Lady's Art Studio and fuse glass together to create an artifact to take home with you. 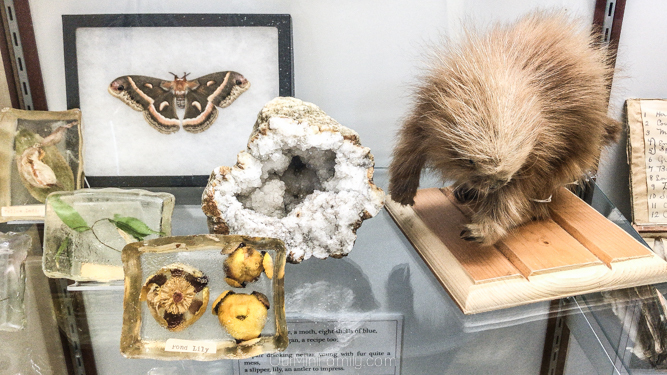 For days when you find yourself wanting to learn more about the area and the animals that call this place home, be sure to make a point to visit the Cable Natural History Museum. For families and couples alike, the Cable Natural History Museum offers an educational visit to learn more about the Northwoods, the animals that inhabit the area, and a chance to see their rotating exhibits on display. My favorite spot to shop in the Northwoods was in downtown Hayward. 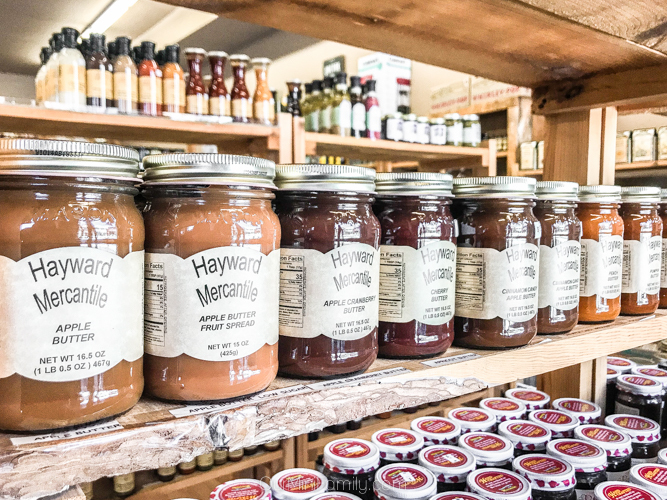 Named one of America's top "Hallmark-worthy small towns" by USA Today, downtown Hayward provides an opportunity to support local small shop and business owners while also finding a variety of all kinds of local goods, gifts, Christmas decorations, and home and garden items. 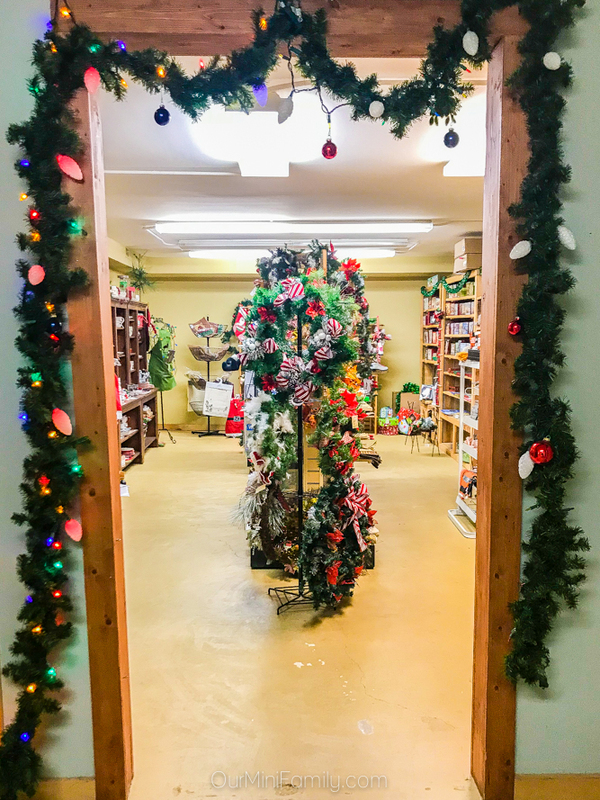 Hayward Mercantile has a plethora of Wisconsin-made goods, and they have a basement level filled with Christmas and holiday decorations, ornaments, and home goods. Redbery Books in Cable offers a wide array of books for many interests and ages. If you are looking for your next winter read, be sure to head to Redbery Books to grab a few novels to escape with when you would rather stay indoors while visiting the Northwoods. If you are traveling as a couple, I would recommend staying at the Deerfoot Lodge. The property has a motel-style hotel, private cabins, and an on-site bar with food that is open year-round. If you are traveling as a family or multiple couples are traveling together, I would recommend renting out one of the Gall Condos located in Cable, Wisconsin. 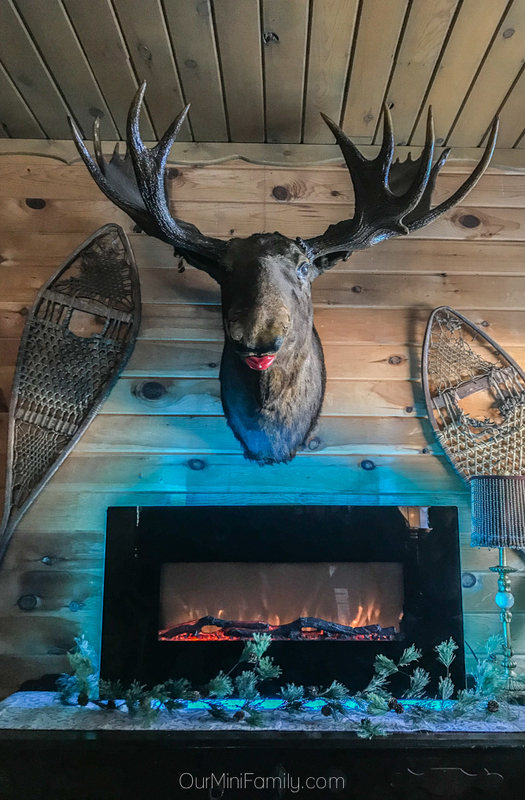 Both properties offer the basic amenities you will need while you enjoy the outdoors and explore all around the Northwoods of Wisconsin. Are you headed to the Northwoods of Wisconsin? Save these travel ideas on your Pinterest and Facebook! Thank you to Travel Wisconsin for inviting us to come out and experience the Northwoods! Now this looks like my kind of get away completely. Actually I am in Fairbanks Alaska right now so this it totally up my alley. All food looks wonderful love a good hot chocolate. Oh my gosh I love Fairbanks! Did you know that during the Polar Vortex, you guys had weather that was like 30 degrees warmer than parts of Wisconsin? Lol!! And yes it is a great getaway for those who enjoy the snow and outdoors. I live in winter, so I typically don't think to getaway to other wintery destinations. This place sounds worth checking out, though. That makes sense! Sometimes it is nice to do wintery stuff at home, too! That looks beautiful! I am a big ol' wimp when it comes to cold! I will have to explore here...but closer to summer! That food looks mouthwatering! I hear you! The food was definitely mouthwatering and so so tasty! 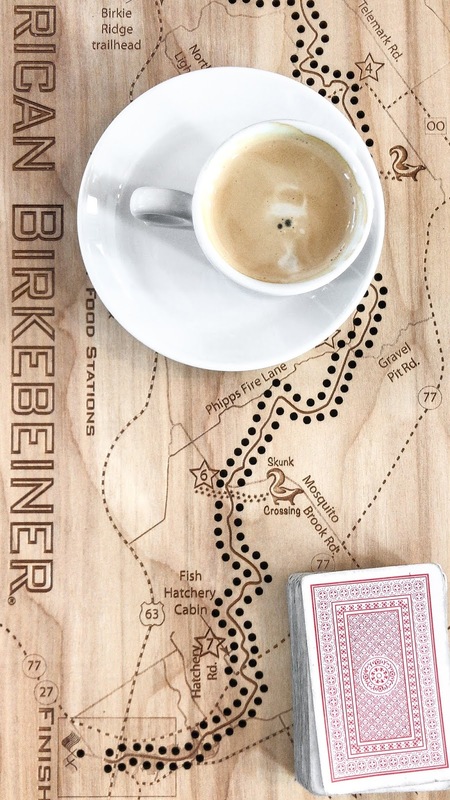 What a great getaway for the adventurous types. Lots of exciting things to do outdoors and the location looks so rustic! This looks like such a relaxing place! We're in Texas so we don't get a lot of snow. It would be fun to be around it for a few days, and then I'd want the warmth again. im def not a huge winter fan but i LOVE this ha- your pictures are so fun and adventurous and maybe i just need to get out there and experience more in the winter time ha- looks like a great time! It was a great time and I would definitely recommend! I mean, sure, it was cold lol!! But it was also worth it to get outside and have fun and then when we were done we ran inside to warm up and drink cocoa! If I am ever able to visit her I will use your guide to visit some of these wonderful places you shared with us. It's totally worth it though! 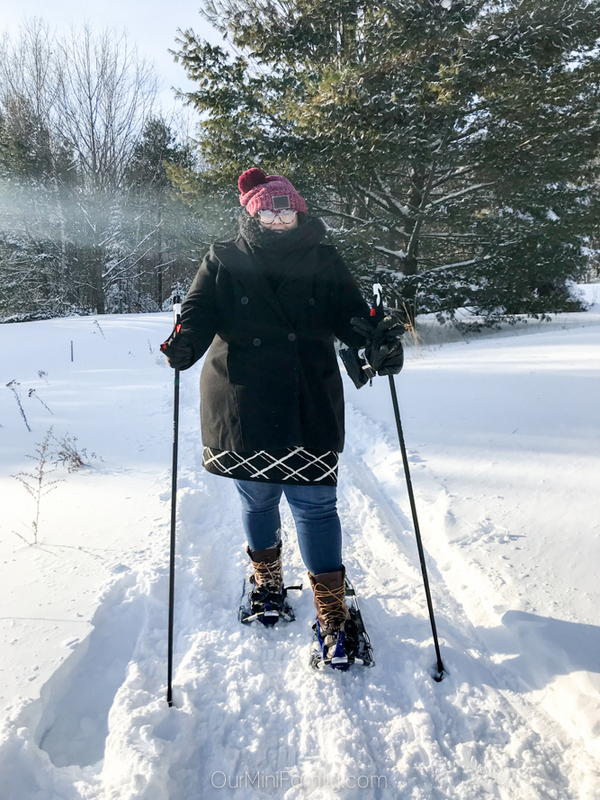 I am not a fan of the cold, which is why I moved to Phoenix, but I can make an exception for some winter fun in the Northwoods! Ha, yeah the Polar Vortex is/was insane! Once the temps get a little easier to deal with, I am sure lots of people will be heading up to the Northwoods for some winter fun! I love the winter and your photo essay describes me to a tee. I love the snow, the sports, hot chocolate, and food! I make not be a fan of snow but all that food looks amazing! Sign me up! I am not a fan of living somewhere where it snows, because, shoveling driveways etc lol! But it is definitely fun to play around in! Wow, that table spread got me gulping some saliva ha ha. I wish we could go for a winter getaway, wisconsin is beautiful! It is so gorgeous there! And yes the food is all so yummy! The food looks amazing and the facade of that Brick House Cafe is adorable. I would love to go there someday. I thought so, too! I had to snap a pic of the building--it reminded me of like a Christmas Hallmark movie or something! *swoons* Hope you get a chance to head out there! I haven't been to Wisconsin, or truthfully, ever thought about visiting it. However, it looks like a very pretty place to go. And that food looks so good! There's definitely a lot to explore up in that area! The Northwoods in Wisconsin is not to far for us. This looks like agreat family weekend getaway for us. My kids would love all the outdoor activities and I would love all the restaurants! Sounds great! Hope your family has a chance to head out there! This place looks like so much fun! I will add this to the travel list!